Since then he’s navigated the world four times in a bid to understand and experience different cultures. Interestingly, Guille refuses to use guide books and instead opts to drive aimlessly through each country, only relying on his own sense of direction and tips from locals on where he should visit. So far he has travelled over 110,000 miles and visited North America, South America, Asia, Africa and Australia – but he isn’t finished yet and has many more trips planned. Most recently Mr Guille rode from Chille to New York, and is now planning to travel and work his way around New Zealand for nine months; however his favourite destination so far has been Indonesia, due to the vast and deserted roads. If you’re planning an epic motorcycle adventure this year, just make sure you invest in specialist cover before you set off. 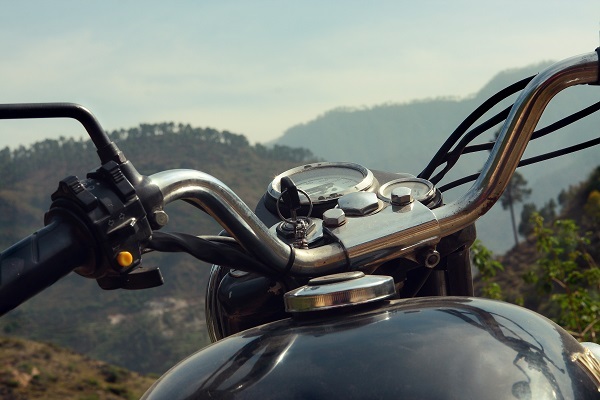 Most standard travel insurance policies will only cover engines under 250cc, so it’s important to do your research and purchase a policy which covers you to ride your bike, plus protects you, your apparel and your trip against any unexpected disasters. Holidaysafe’s specialist motorcycle travel insurance has been created by bikers for bikers, so you can rest assured that our cover will protect you throughout your tour. Visit Holidaysafe.co.uk for more information and a no obligation quotation.